Press Release - Belize Canoe Association - February 26, 2014 - This year’s Boom to the City Canoe Challenge - powered by GUINNESS, went from Henderson’s Bank to Riverside Tavern on February 22nd, 2014, and had a big turn out with 26 teams paddling for the pride. The Junior Division was won by Turd’z, Martin Gideon, Sergio Barrera and Glenford Sutherland, sponsored by Martin Woods. In second place was Unruley Wave sponsored by Belize Rural High School with Jeffery Seguro, Ashton Moody and Mathew Mask. The third place team was AFM with paddlers Mark Menez, Alexander Cruz and Feliz Neal. The Intramural Division was won by Wateva Boyz sponsored by D & D Consulting Ltd., and paddled by Sergio Lopez, Adrian Williams and Jesus Linarez. 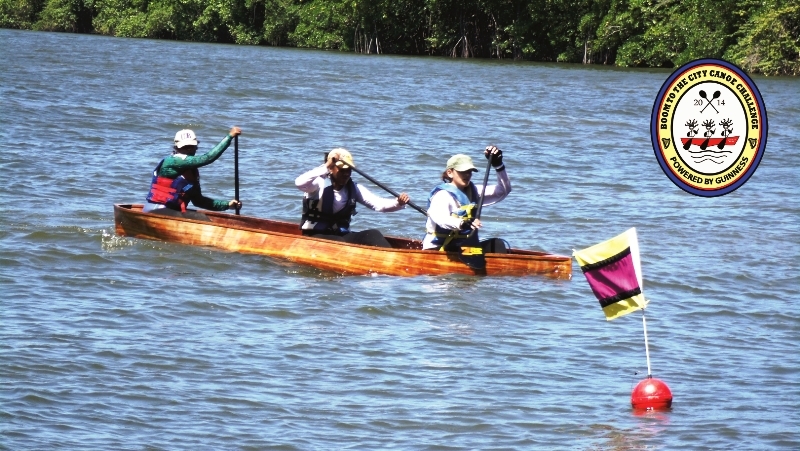 Second place went to Western Home Supplies paddled by Alfred Lopez, Byron Cruz and Armando Lopez. Our third place finishers, 3 Hours Later, had a female paddler, Ashley Pelayo, Shaheed Mai and Victor Valdez. In first place for the Pleasure Division was Weh Dem Deh sponsored by BDF/Kabuli/Loans 2 Go. Paddlers Miguel Guerra, Jesus Cruz and Daniel Harris finished with a time of 2:51 leading this category. In second place and grabbing the station prize at Haulover Bridge was Print Belize made up of Kylan Hyde, Rudolph Gentle and Francisco Perez. Third place finisher was Branches with Osiris Orlando, Darry Carillo and Jonathan Guerra sponsored by BDF/Kabuli/Loans 2 Go. In the Masters Division it was another close race with Watt a Ting sponsored by Sea Sports Belize with John and Mike Searle along with Robert Bailey edging out the second place team. In second place was Grumpy Old Men sponsored by Caribbean Engineering. Jerry Wilken, Stanley Bailey and Joe Seguro finished with a time of 2:59:20. 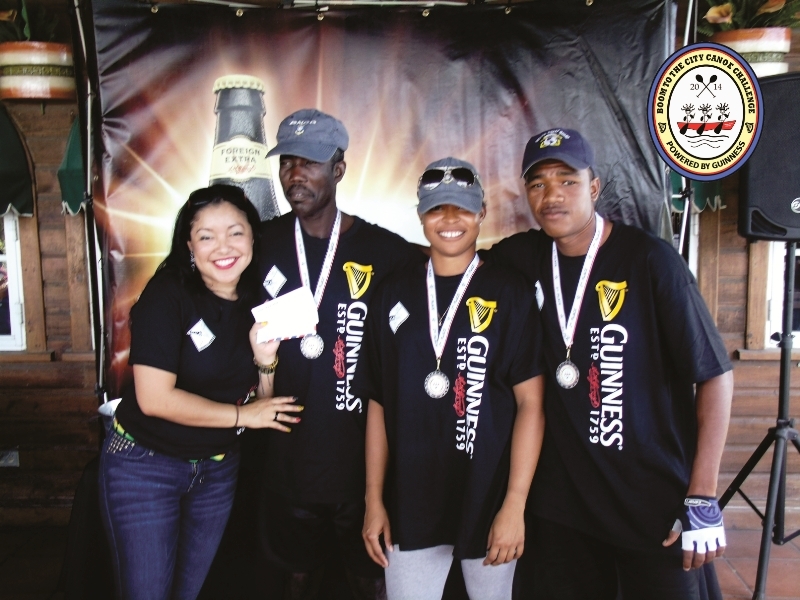 The Female Division was won by Pawty Tun Up, Jane and Bobby Usher along with Ruth Cruz and was sponsored by Rt. Hon. Said Musa. Second place goes to the UB Lady Jaguars, Jani Salazar, Yinka Jagbir and Louise Rodriguez. In third place was Kabuli Girls of the BDF with Gracelita and Linnet Lopez along with Megan Aspinol and finished with a time of 4:05. Black Orchid Resort with Wilberto Daniels, Jayda Guydis and Jermaine Sanchez won the Mixed Division. In second place, one second after, was Coast Guardians - Glen Jones, Tiffara Welch and Toni Franzua. Third place went to Coast Guard Belize with paddlers Godfrey and Johnathan Alford along with Gianne Cayetano finishing with a time of 2:45:40. Fourth place was Wave Runner with paddlers Jason and Jeffrey Carrillo along with Sarita Perez and sponsored by BDF/Benny’s/ Kabuli. Fifth place went to Magic Carpet Jose Luis Carrias, Sylvia Duran and Fernando Cruz and sponsored by BDF/Kabuli/Benny’s. Rounding out this division was 3 The Hard Way with paddlers Ray Thompson, Jason Trapp and Joana Lopez. The Male Division was another close finish with the Belize Bank Bulldogs (Armin Lopez along with Daniel and Amado Cruz) crossing with a time of 2:39:25. Team NICH with Oscar Cordon along with Efrain and Felix Cruz finished in second place one second later. Third place went to Westrac with paddlers Ervin and Hener Cruz along with Jerry Cante. Fourth place went to BTL Cobb’s Arm with paddlers Roy and Eric Cano along with Andres Cabb. 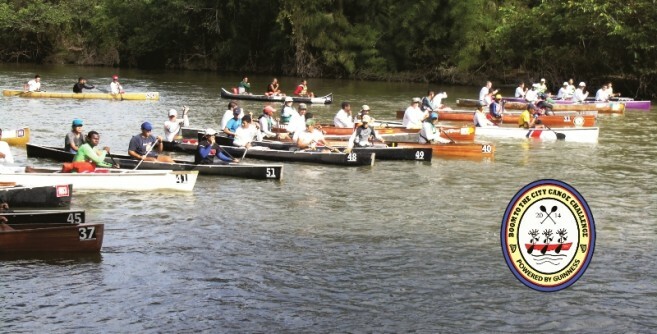 In fifth place was Joseph & Taylor STEELers with paddlers Jerry Rhaburn, Francis “Bunky” Codd and Chris Guydis. Rounding out the Male Division was D & A Hydroplaners with paddlers Leon and Raymond Gillett along with Jeremy Sanchez and sponsored by D&A Construction. 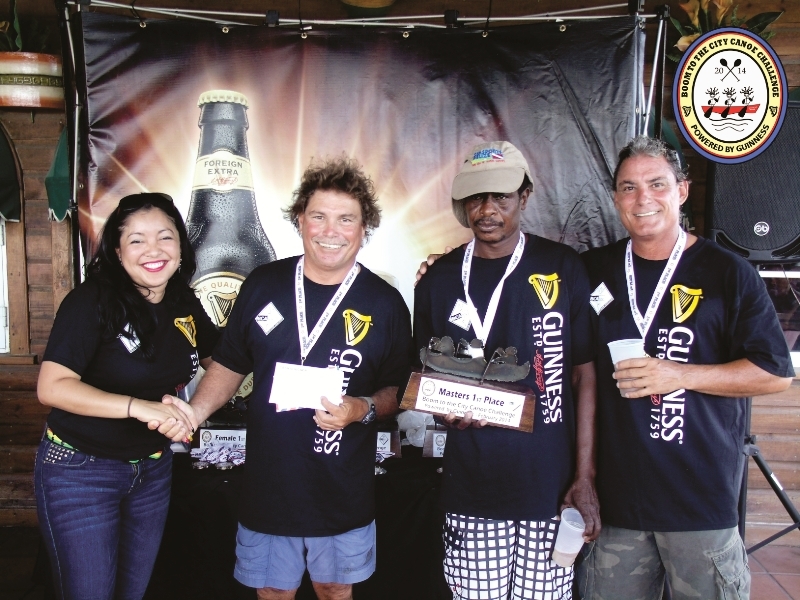 Special thanks to GUINNESS for their continued sponsorship of this event. Thanks to Riverside Tavern for hosting us once again. We’d also like to thank Sea Sports Belize for the use of their boat as safety. Thanks to all the paddlers and fans who supported and helped make this 2014 Boom to the City Canoe Challenge – powered by GUINNESS a safe and fun event. NEXT RACE: March 01, 2014 at the Spanish Lookout Industrial and Business Expo, Race starts at 10:30am. Registration $25. 12 laps in the lagoon. Opened to any teams to participate.